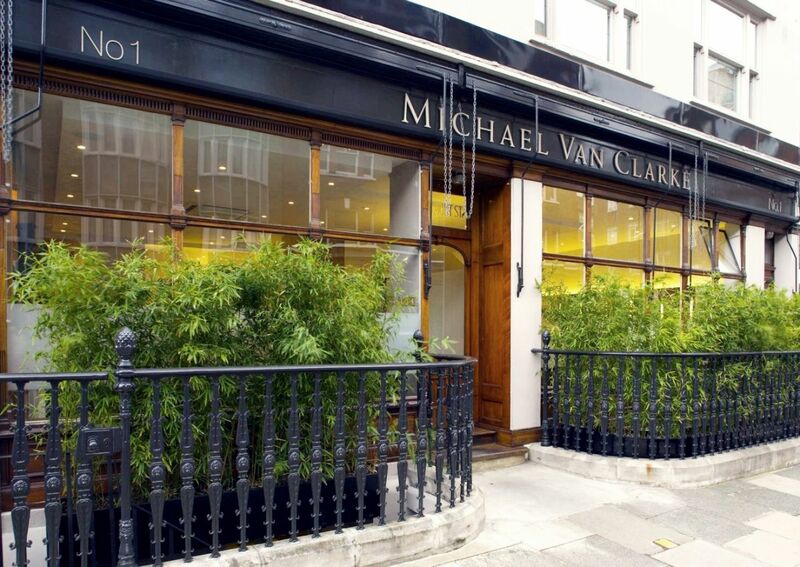 Michael Van Clarke is a renowned hairdresser who has worked with A-List celebrities, supermodels and even The Royals. He worked his way up to manage John Frieda’s flagship salon in Mayfair to then opening his own salon in 1988 in Marylebone. 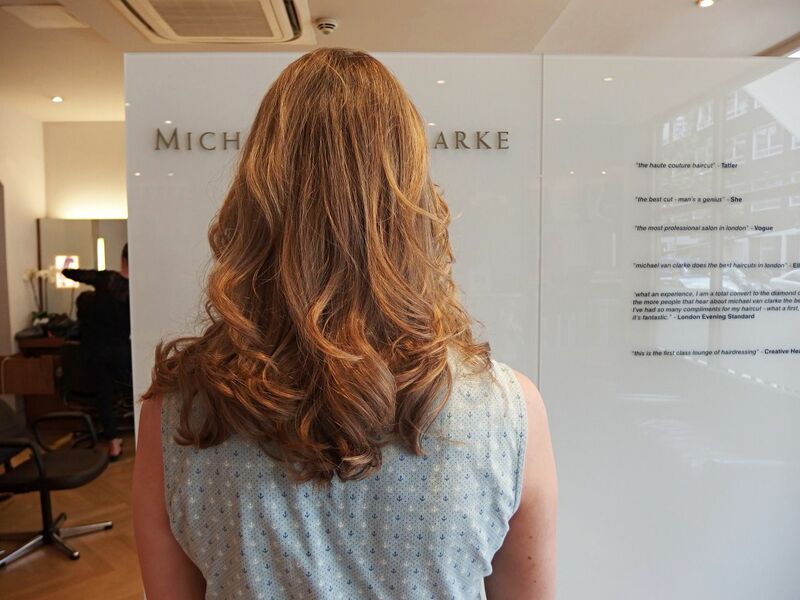 The salon has such a fabulous team of professional stylists, colourists, tricologists, beauty therapists and two in-house chefs who offer a wonderful menu of food and drinks throughout your time at the salon. The salon has also won numerous awards including Best Salon at the British Hairdressing Awards 2011. One reason the salon stands out so much is their signature Diamond Dry Cut. This revolutionary method of cutting hair whilst it is clean and dry instead of wet allows the stylist to work with your hairs natural movement and texture and also create a style taking into consideration your face shape and features. 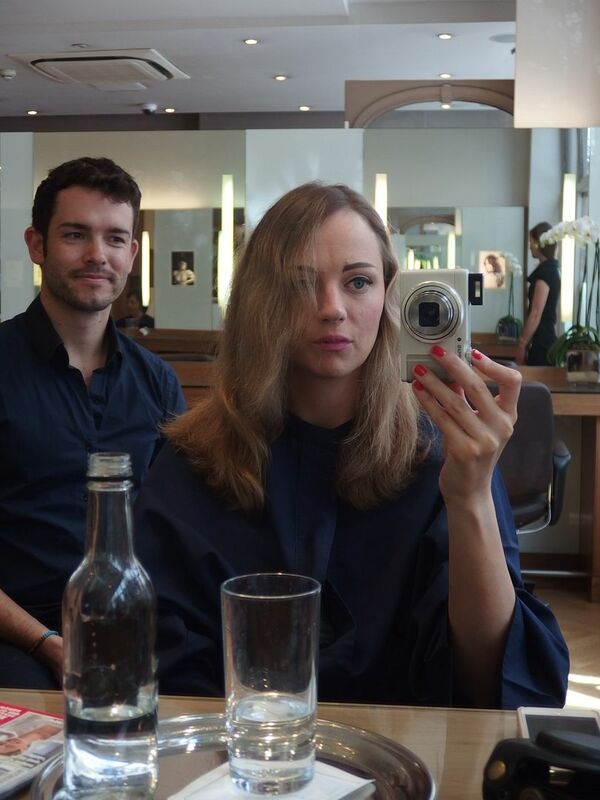 Creating your own unique haircut tailored exactly to you! 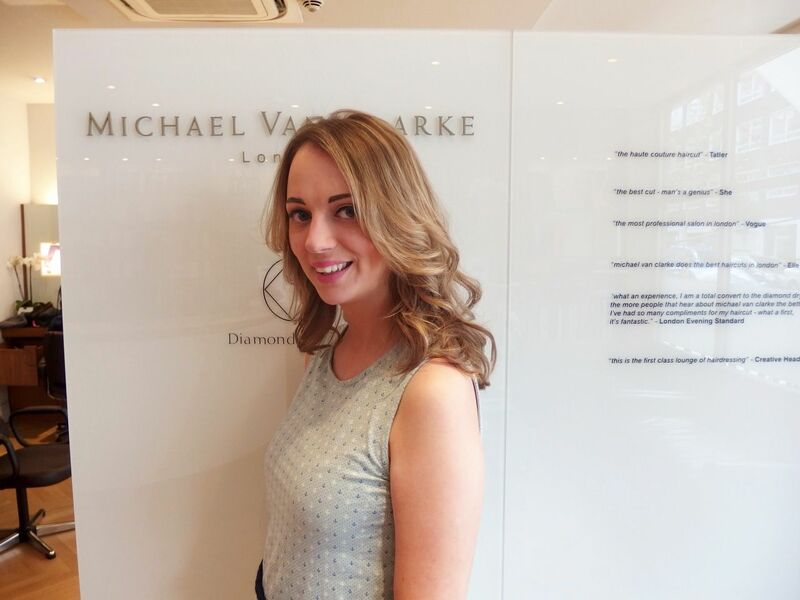 I was invited along to the salon to experience the Diamond Dry Cut and was excited to see the results. 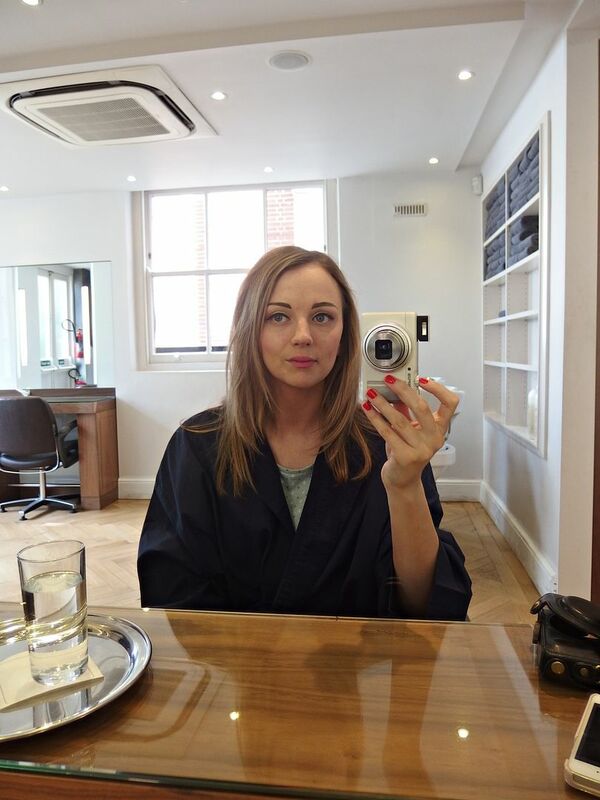 When I arrived at the salon I was greeted by the receptionist and instantly felt at ease by her friendly nature. I got into my gown whilst I waited for my stylist. They have a complete food and drinks menu to order from, including sandwiches and champagne if you fancy. I had just had lunch so a simple water was good enough for me! My stylist for the afternoon was Gustav, who introduced himself and then took me to my seat to go over what I wanted from my haircut. I had already had a pre-consultation at the blogger evening I had attended with Michael, so Gustav went through what he would suggest and told me just to let him know if Michael’s was similar and if this was all ok. I have been growing my hair so really wanted to keep the length, but sometimes feel that now it’s longer and if I wear it straight it can just sort of hang. Gustav suggested adding in more layers to make it more connected and to add shape and also opt for a shorter slight fringe to compliment my eyes. This is exactly what I was looking for an I was eager to get started! Amazingly I watched as Gustav cut it with such ease, taking care to really go with the flow of your hair. We had such a great chat about everything and anything that the cut was nearly finished! I opted to have it styled with a slight wave, I’m not very good at creating this style so watched on as he used a tong to pull down each section of hair to create a lovely twist. Overall I was really happy with the cut and style, I’ve worn my hair straight since and I can really see the difference in the front of my face, the hair definitely isn’t hanging anymore. The salon itself is lovely, so relaxing and I feel like they really take an interest in creating the perfect style for you. 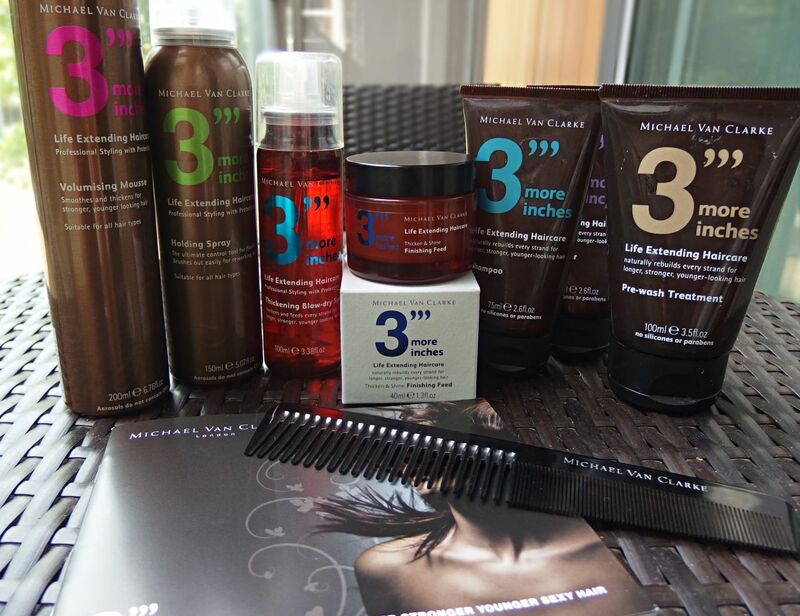 To keep my hair in good condition since the cut I have also been using Michael’s hair care range 3”’ More Inches. As I mentioned above I attended a blogger evening at the salon prior to my visit, where we learnt all about the products. The range aims to give you 3 more inches by preserving and helping to nourish and look after your hair. It slows down the ageing process so you can keep more of your own hair for longer. The unique complex of cashmere proteins within the products penetrate the hair shaft repairing broken bonds and help overall to protect the hair. I was really intrigued by the Pre-Wash Treatment, what you do is you apply this to dry hair for an hour then shampoo if off. After trying this my hair felt very smooth and I am looking forward to continuing to use this. With the shampoo and conditioner my hair felt so clean and soft and then I added some of the mousse when drying which is fantastic as it doesn’t leave a horrible sticky feeling at all. The finishing feed however has probably been my favourite product, I apply it after drying my hair and it seals in any frays and strays and conditions the hair to protect against moisture loss at the same time! I feel like the products are actually helping to improve the condition of my hair. They are not a gimmicky product and I feel they actually have beneficial ingredients that over time it will really will help by using them. 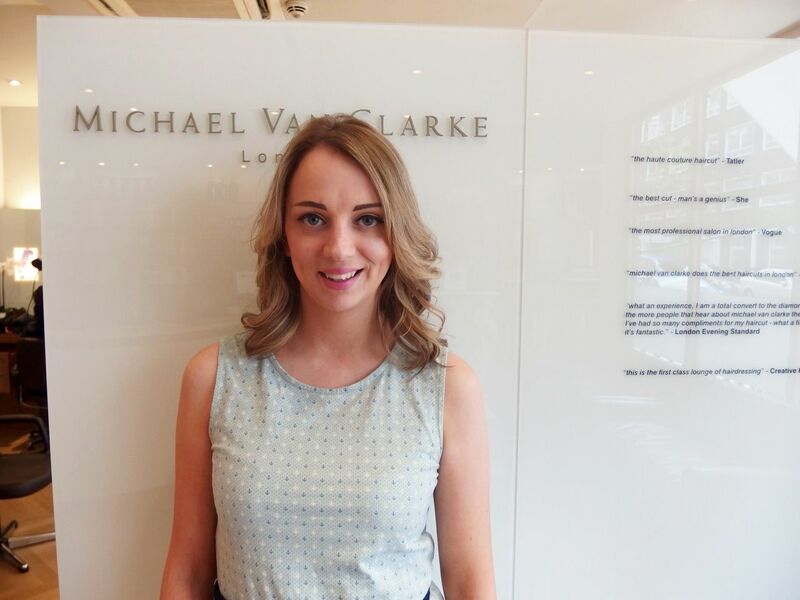 For more info on the Diamond Dry Cut and 3”’ More Inches products visit vanclarke.com.